« Beautiful – friendly – daring! 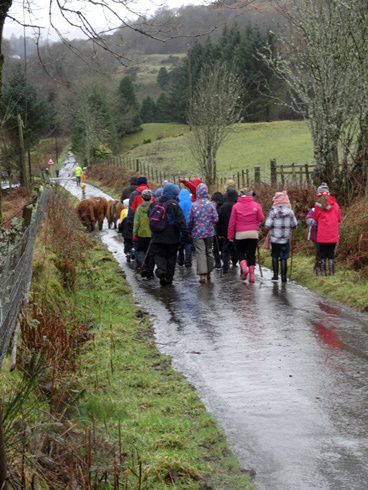 A class of sixteen Rockfield Primary School pupils experienced the life of the ancient drovers of Argyll when they drove a small herd of Highland cattle, cooked bannocks over an open fire, sang traditional songs and shared in the storytelling tradition. This experience was delivered completely in Gaelic. 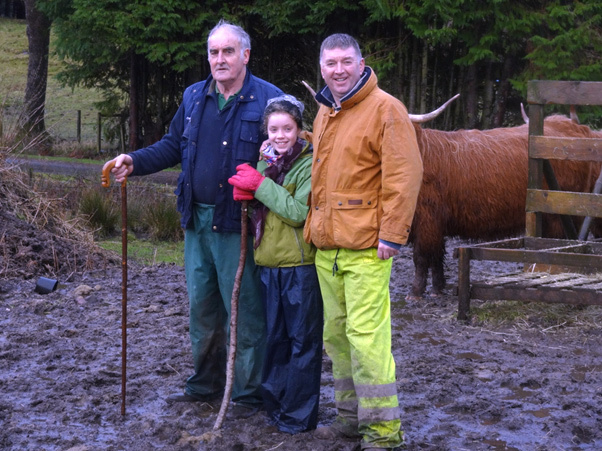 The trip was the pinnacle of the school’s project to examine the life of Argyll drovers, and is unique in that it is the first droving project to be delivered in both English and Gaelic, and to have pupils do a real life drove with cattle. 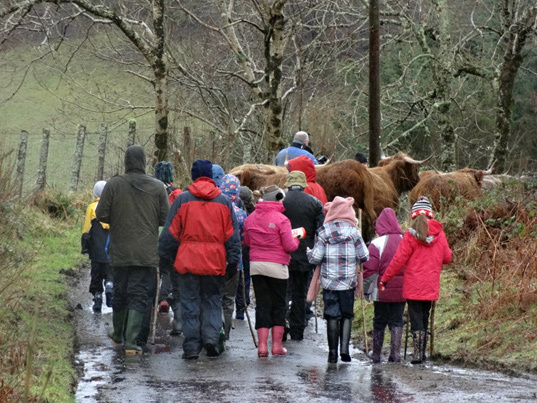 The children have learned about droving in Argyll and the old drove routes, made clay Highland cows and held an auction, where their cows were bought and sold. The project has been a partnership involving Dr Joyce Gilbert from the Royal Scottish Geographical Society, Sallie Harkness from Storyline Scotland and Argyll and Bute Council’s education service. 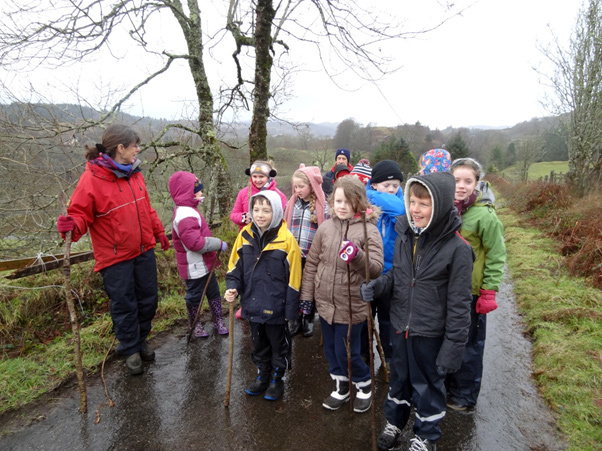 Argyll and Bute Council’s Policy Lead for Education and Lifelong Learning, Councillor Aileen Morton, said, “The strength of introducing children to multi-disciplinary projects is that they learn through experience. The drovers project has taken the class to a shieling in the mountains, to a market and now on a cattle drove. Rockfield Primary School Acting Head Teacher Margaret Cain said, “This is learning through experience at its best. The children were able to go back in time and imagine what life as a drover was really like. On the drove the whole experience became very real and this will facilitate a depth to the children’s learning and understanding.